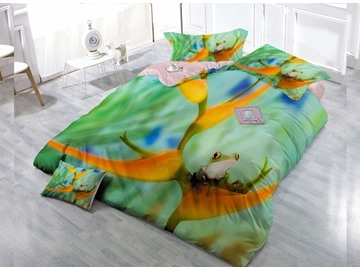 Bring style and joy to your bedroom with our 3D bedding set. 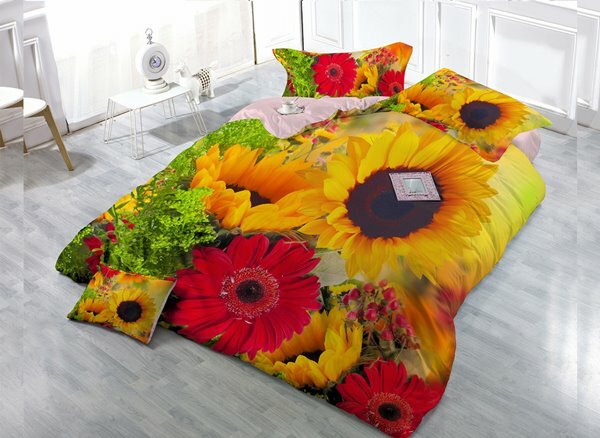 It depicts yellow sunflower and red daisy which are sure to enliven any sleep space. 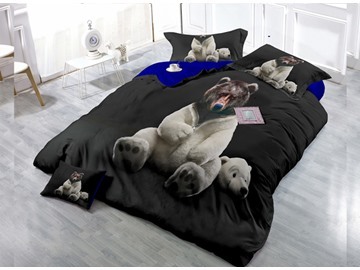 Made of cotton, this 3D bedding set has a smooth and glossy surface. A wonderful gift for the flower lover in your life. 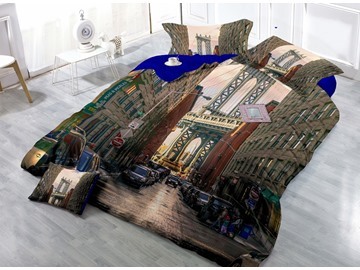 Features a hassle-free hidden zipper closure, making it easy and efficient to put this duvet cover on your comforter. 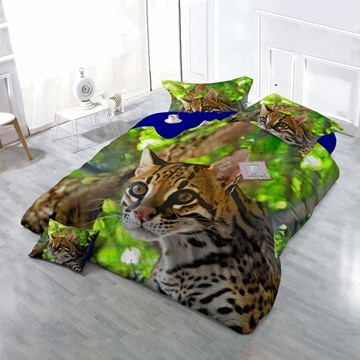 Now give your room the spring breath! 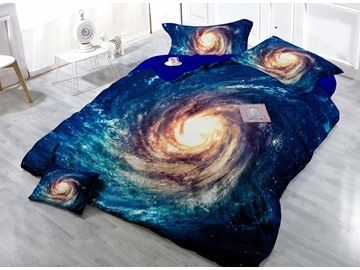 I?was looking for a new bedding set to spruce up our now light grey room. 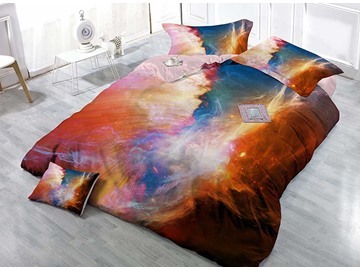 This bedding set is beautiful. 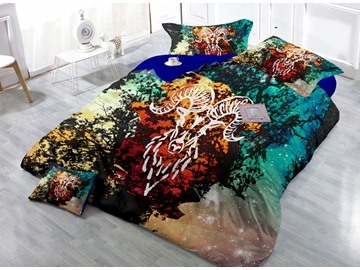 The colors are bright and fun.